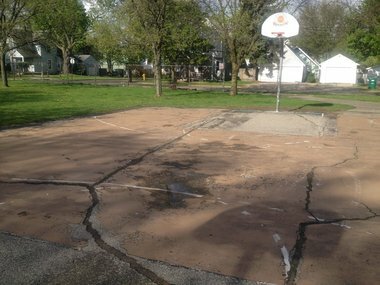 Based on public voting in a contest sponsored by Sprite and the National Recreation and Park Association, the basketball court at Westown Commons park in Grand Rapids will get a $15,000 grant. GRAND RAPIDS, MI â A West Side city park will get a facelift this year after winning a $15,000 grant in an online vote. The Web site for the Sprite Spark Parks Project states that final results are pending, but a city news release claims Westown Commons park is in line for the contest’s highest prize. The money will help fund upgrades to the basketball court at the park, 752 Watson St. SW. The court was one of 25 chosen by Sprite and the National Recreation and Park Association to receive part of $275,000 that will be allotted based on public voting from March through May. Grand Rapids had been ranked fourth in mid-April, behind courts in Atlanta, New York and New Orleans. Work at Westown Commons should start later this summer or in early fall and will be done by the end of November, according to the city release.